Are the electric lawn mowers the same? Electric lawn mowers just like all the other electric appliances are not the same. Starting from the motor on the different lawn mowers and the electric sources, the lawn mowers differ. That is why: the mowers are categorized as corded electric lawn mowers to signify that they require an electric cord to draw power for their use. Cordless lawn mowers are those which do not necessarily use an electric circuit but usually depend on other sources like battery to be powered. Additionally, the differences come in terms of the manner in which they can work fast or in some cases, capacity of the electric lawn mower to work on a specific size of lawn. Are there benefits of the cordless lawn mowers? Cordless lawn mowers like in their other electric mowers have diverse benefits to the user. For starters, the maintenance of the cordless electric lawn mowers seems easier than their corded electric mowers as there is no cable to care for. In addition, the cordless lawn mowers are considered to be quite cost effective. The additional benefit of the cordless lawn mowers is that they can be used everywhere regardless of the power grid. The only thing needed with them is the battery which can be replaced or recharged. Most of the cordless lawn mowers are additionally lighter when compared to the other corded electric lawn mowers. Can robotic lawn mowers be part of the electric lawn mowers? The innovation of robotic lawn mowers has in so many cases been put as part of the electric lawn mowers. This stems from the fact that most of these are remote controlled devices which have independent power sources not primarily fuel or from an electric cord. However, because most of these remote controlled robotic mowers are known to use batteries or solar as their source of power, the lawn mowers will still form part of the cordless electric lawn mowers. Moreover, even the remote devices use batteries to operate. Can the electric lawn mower deliver a clean mowing job? Electric lawn mowers are the most preferred when it comes to ensuring that the lawn is kept as clean as it may be desired because of the collection bag usually fitted on them. Most of these mowers also have powerful blades and the front wheels which are instrumental in ensuring that the grass is mowed well. Electric lawn mowers are cleaned especially using the normal procedures of cleaning any lawn mower. However, the user needs to take care not to allow water to reach the electric lawn mower motor. In most instances, the normal cleaning procedure involves wiping and the removal of grass from the blades and sharpening them to make them work more efficiently. However, issues like oiling of the other movable parts may also be done, but for the cases of electrical systems, it may not be advisable if you are not an electrician. How does the electric lawn mower work? The operations of electric lawn mowers differ depending on which of the two types you have. Electric lawn mowers generally depend on an installed motor within its system to propel the blades which are used to cut grass. The majority of the electric lawn mowers are push behind mowers which require the physical engagement of the user as it goes about its business. 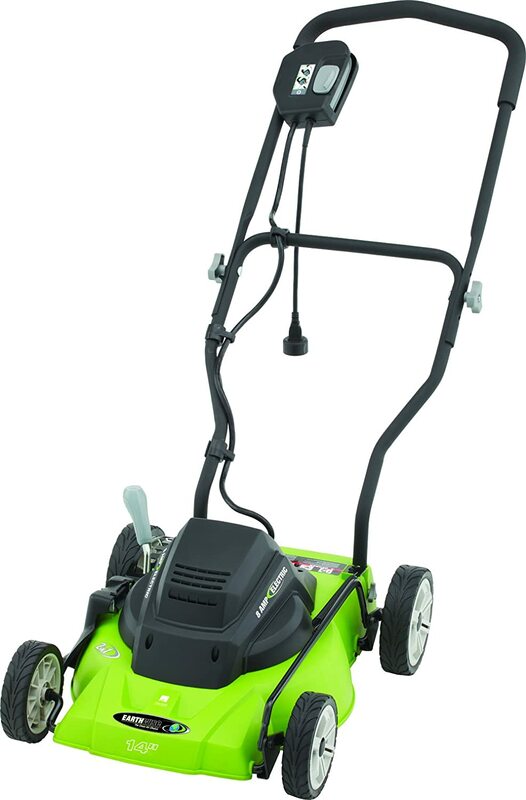 Corded electric lawn mower requires the use of an electric cord to be connected to the electric grid. 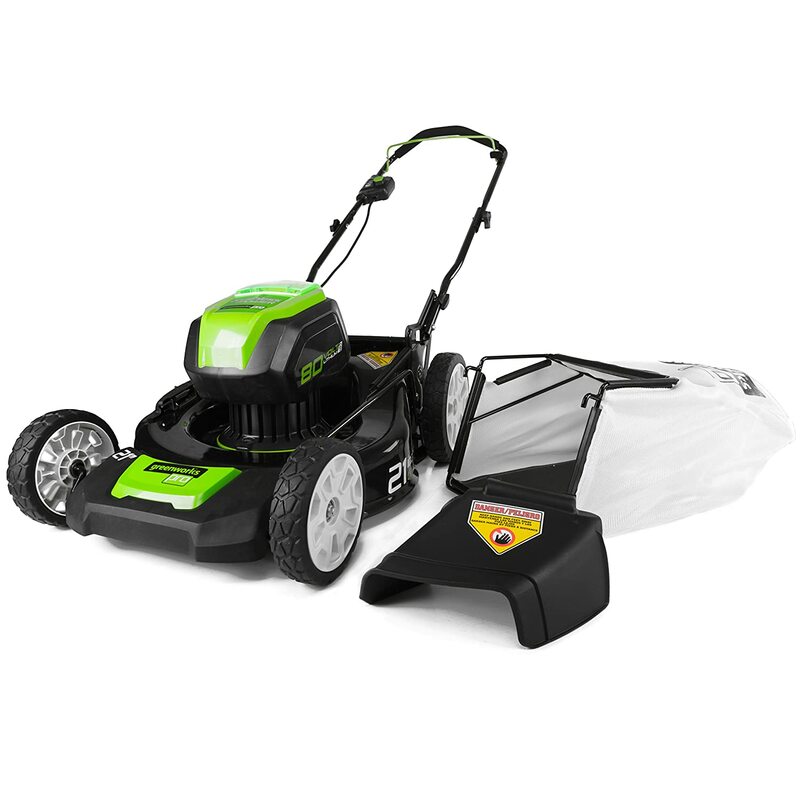 On the same note, cordless electric lawn mowers are known for the overall use of batteries as their main power source. The use of solar power and the appearance of remote controlled robotic lawn mowers have shifted the manner in which the mowers work. How durable are the electric lawn mowers? As long as the user keeps the desired maintenance practices and good user practices as well, electric lawn mowers can last for quite long. Moreover, the body of different lawn mowers is made of diverse materials which may in return determine how long they may stay. However, the corded electric lawn mowers are also known to suffer the effects of cutting on the cord, which in most cases impede their overall use. When the cordless elecy becomes obsolete, the solution is to give it a replacement or just forget its use altogether. How much can an electric lawn mower cost? 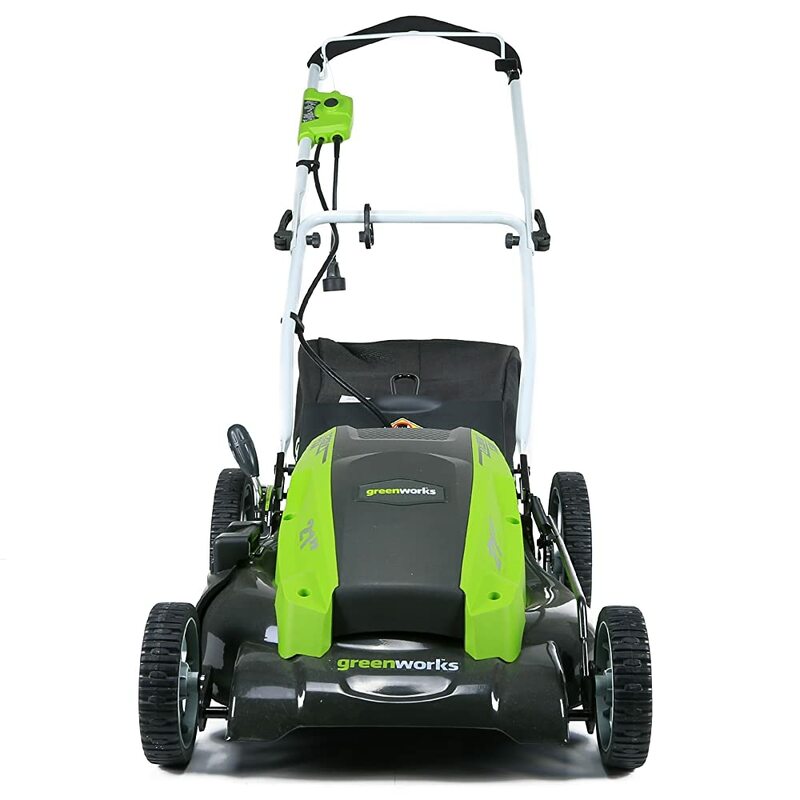 There is no fixed cost for any given electric lawn mower in the market. Different brands of lawn mowers have their own price lists depending on the superiority of its systems. Robotic electric lawn mowers have been known to be more expensive than their other corded and usual cordless counterparts. Depending on where you purchase, the discounts given on the several brick and motor stores can make the whole difference where the price is concerned. Another determinant of the price of any given lawn mower is the quality and the convenience in which it is made to work. 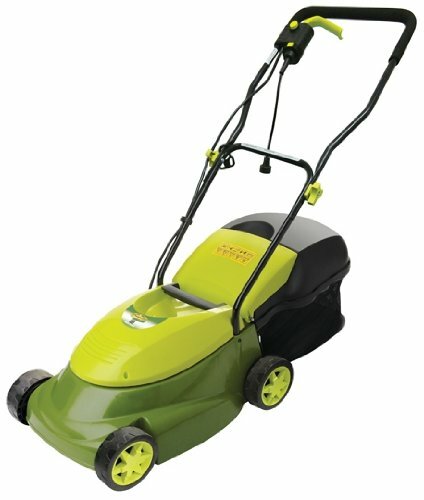 My lawns is composed of long grass, is the electric lawn mower suitable for use on it? Definitely, electric lawn mower is suited for cutting long grass lawns there are several electric lawn mowers which can work better on long grass and what one needs to do is merely look around the shops. However, if the grass in question is rather too tall, the preferred choice would be the riding tractor lawn mowers which are regarded highly for their power and efficiency on the lawn. What are some of the cautionary measures to take when using an electric lawn mower? There are several factors to put in mind when using an electric lawn mower. The key cautionary measure is to ensure that the electric lawn mower is used for the sole purpose for which it is supposed to be used. Using the electric lawn mower in the open especially when it is raining is also like courting a disaster and must be avoided. To cap it all, the user need to ensure that he mows away from the electric power cord to avoid cases of intertwining while mowing and at the same time make small but consistent movements. 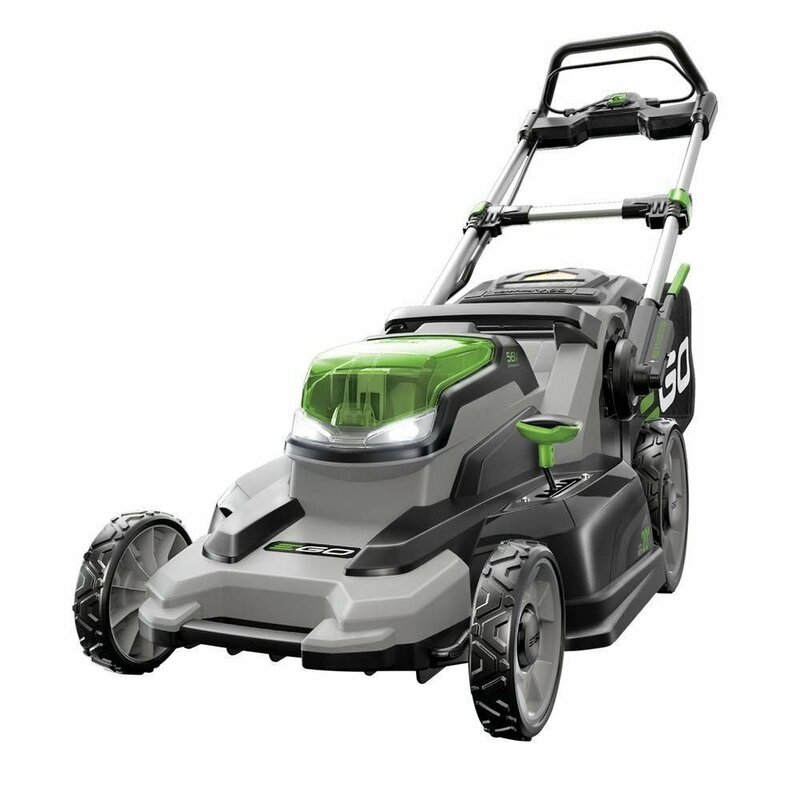 What are the key areas to look at when buying an electric lawn mower? 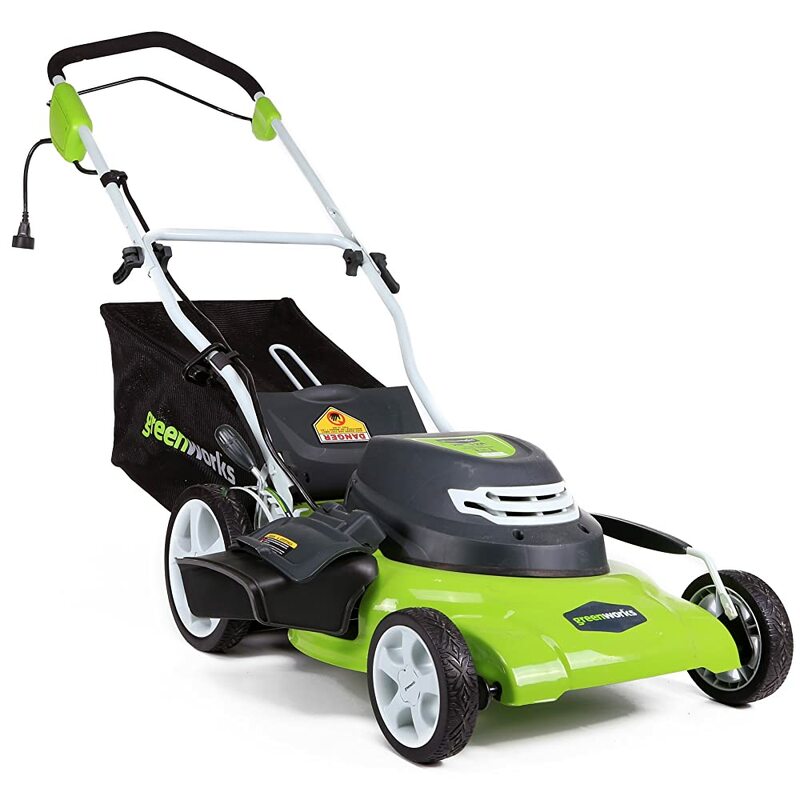 There are several areas one needs to look at when shopping for the right lawn mower. The key areas to observe are whether you needed a cordless lawn mower or a corded one. For cordless ones, check on the battery capacity and the possibility of recharge as replacements are quite costly. What are the types of electric lawn mowers in the market? There are two major types of electric lawn mowers in the market with the third one still not very much in use. Corded electric lawn mowers are the most rampant ones as they are known to utilize the use of an electric circuit and source to be able to operate. One major undoing of these mowers is that they cannot work if the power circuit is off. Cordless electric lawn mowers are those which may not need the use of an electric power cord to work. The majority of these are known to work on batteries in spite of the appearance of a few trials on those using solar power and others working on programmed robotic chips. What are the weaknesses of the corded electric lawn mowers? The corded electric lawn mowers have been loved and hated in equal measure. The biggest undoing of the corded electric lawn mower is that it cannot work in places where the electric grid has not reached. Moreover, there are cases of frequent power blackouts in several areas which are likely to impede its operations. Additionally, the presence of the power cord is in itself limiting as it does not allow for free movement. The power cord determines how far the mower goes and how. The risk of intertwining the wire and even cutting it in the course of mowing is rather a reality in this case. What are the weaknesses of the cordless lawn mowers? Cordless electric lawn mowers have this weakness that the battery is usually prone to depletion fast. If the user has no replacement or means to recharge, the possibility of stalling the mowing is real. For the robotic lawn mowers, they are usually remote controlled and are blamed for mowing even areas which had not been prescribed by the user. What is a cordless electric lawn mower? A cordless lawn mower is simply an electric lawn mower which in its normal operations does not require any use of an electrical cord/wire to draw power. Majority of these cordless electric lawn mowers are known to use batteries as their source of power. However, there are new crops of cordless electric lawn mowers known to use the solar power as their source, which still helps with recharging of the battery. Other known cordless electric lawn mowers are the remote controlled robotic lawn mowers which are still not so much in use. What is the average length of the electric cord on the corded electric lawn mower? There is no set limit to the length of the electric cord used on most of the corded electric lawn mowers in the market. The key determinant of the cord used solely depends on the size of the lawn, which one needs to gauge appropriately. In most cases, it is recommended that apart from the power cord the electric lawn mowers come with from the factories, the user is advised to have an extra extension cable for ease of movement and to avoid cases where the electric cord gets intertwined, which may lead to its cutting. What is the basic practice when using the electric mower? What is the operational limit of an electric lawn mower? An electric lawn mower has diverse limits. Corded electric lawn mowers are said to work for as far as the cord can be extended. However, most of them have certain hourly limits which the user needs to be acquainted with before using them. Cordless lawn mowers on their part may work for as long as the battery charge is still there. The presence of hourly limit on these mowers is usually set depending on the manufacturer estimate of the depletion of the power charge, which in most cases is merely recharge or a new battery is used to replace the previous ones. Ensure that the lawn mower is given some rest to avoid spoilage in the motor. What is torque, where electric lawn mowers are concerned? Torque is usually a measure of the motor power and is a common feature on most moving appliances, especially the ones which are fitted with motor feature as a means of drive. Torque usually determines how powerful or not powerful a machine is as the higher the torque, the more powerful it is. Most electric lawn mowers are fitted with motors and it is this capacity of the motor which you will commonly see. The electric motor measures the torque as the overall output capacity as the machine is used. What makes the electric lawn mower different from the other types of lawn mowers? The main difference between the electric lawn mowers and the others in the market is solely based on the power source. While some of the lawn mowers are known to use the services of gas as their power sources, these mowers use an electric current from the grid or the already set up batteries. It is in this regard that the electric lawn mowers are found to be quite environmentally friendly, a clear contrast from the others whose huge emissions into the sky has been blamed for rampant pollution, especially in areas where they are heavily in use. What makes the electric lawn mower environmentally friendly? 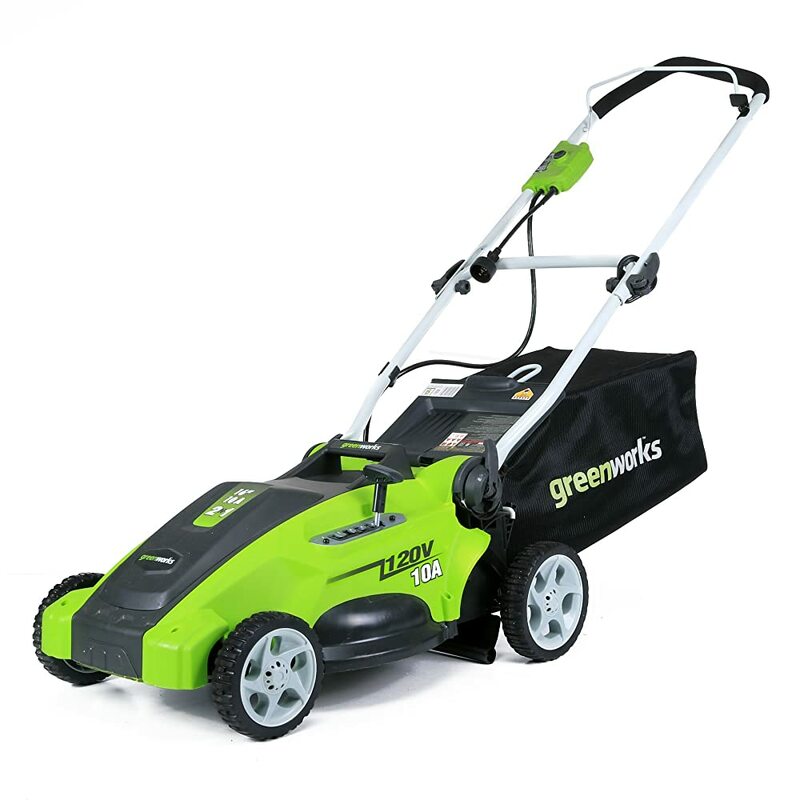 The fact that the electric lawn mower does not emit huge fumes into the environment makes them an ideal candidate for environmental conservation. Gas fuel is mined from the ground and has been blamed for a lot if environmental issues. Spillages are also detrimental to the lives of other organisms living inside the soil. The additional fact to this is that the electric lawn mowers are designed in such a way that the mowing progresses without any effect of the wheels on the grass being mowed, unlike in the case of tractor mowers whose huge wheels which cause havoc on the grass. What makes the tractor lawn mowers superior to the electric lawn mowers? Tractor lawn mowers are considered superior due to the overall torque on their power engines. Most of the motor power on the tractors is higher making them mow larger areas as compared to their electric lawn mower counterparts. The use of fuel also gives them an advantage of use over the electric lawn mowers which solely depend on the power grid. Additionally, because they are ride on, their use does not involve the physical strength of the user as is the case with most of the push behind electric lawn mowers. They can also have better capacity to mow long grass lawns as compared to the electric lawn mowers. Where can one buy an electric lawn mower? Several places are available for this lawn mower purchase. Brick and motor stores across the street which stock agricultural and home appliances as well as those dealing with electrical goods are known to have enough stock of any electric lawn mower you may wish to buy albeit at higher rates due to taxation and rent charges. 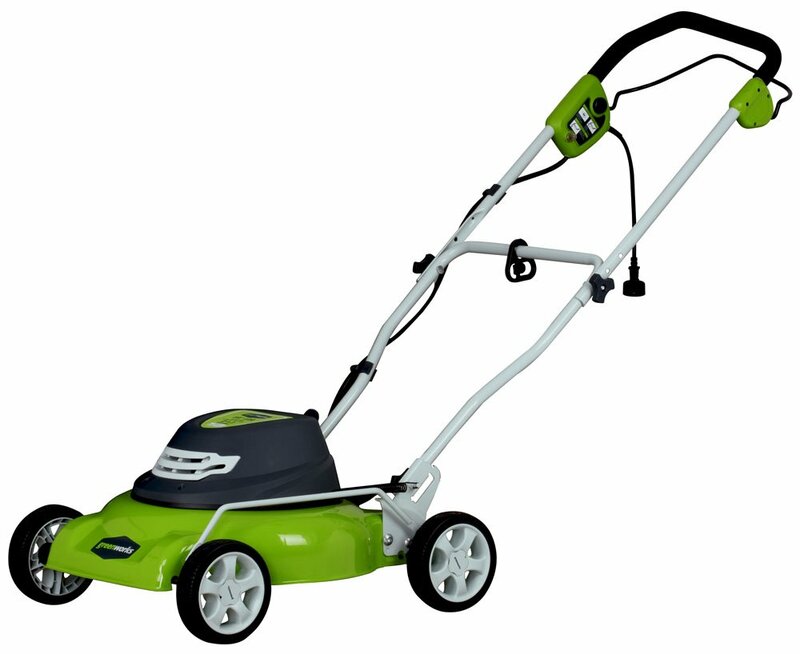 Why are the electric lawn mowers that effective unlike the reel mowers? It is in most cases on the open that electric lawn mowers are seen to do a better job at mowing when compared to their reel mower counterparts. This is usually solely due to the fact that reel mowers in essence are slow, sluggish and in the case of those using gas quite environmentally unfriendly. The additional reason is that the operational span of most of the electric lawn mowers is usually better and at the sometime, most of them are fitted with features which enable them mow even longer grass, which is not possible with the reel mowers. Why do we need electric lawn mowers? Electric lawn mowers are important for diverse reasons. The primary aim is to ensure that the surrounding is kept clean. The act of keeping the surrounding clean alone is enough to keep off certain disease causing vectors. Electric lawn mowers are also good for the environment as they are known to be friendlier to the environment. But of greater importance, these mowers are quite effective yet economical in its real sense as far as fuel use is concerned. 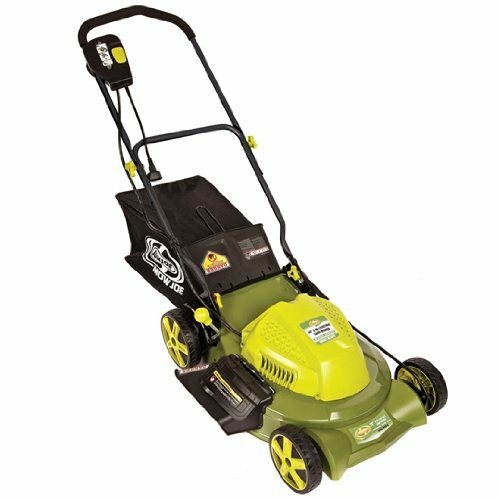 Why is the electric lawn mower considered to be the best? Electric lawn mowers are generally considered to be the best that there is among the numerous types of lawn mowers. Apart from their known levels of efficiency, electric lawn mowers are also regarded to be environmentally friendly. When compared to the tractor mowers, the fact that the electric lawn mowers do not use gas is the main advantage to the environment. They do not release the diverse pollutants which are known own to degrade the air, a fact which is not liked environmentally. Can reel mowers be used to cut wet grass? They can provide the blades are extremely sharp. One must be careful to choose a different path every time during a mowing session in the rain, as grooves made in the mud can alter the growth pattern of the grass. A fully charged electric mower can run for 60-90 minutes of mowing. How much does a reel mower cost? Reel mowers cost in the range of 80 USD to 200 USD. You will find most of them priced below 125USD. Gas powered reel mowers cost upwards of 200 USD. 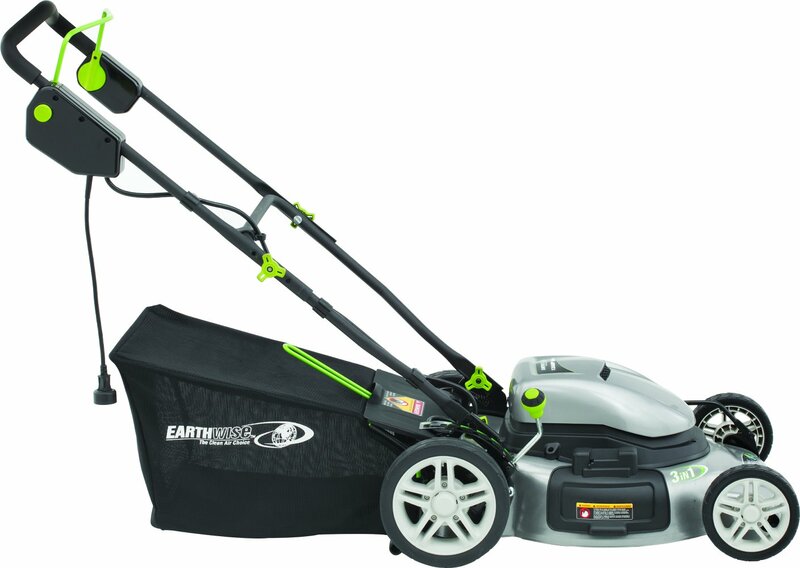 How much does electric reel mowers cost? A Sharpening kit for a reel mower consists of a container of lapping compound which is an abrasive suspended in a sticky substance which can be applied with an accompanying brush. There is also a crank provided in the kit, and a set of instructions. First lay the mower so that the cutter bar or bed knife is up and grinds against the blades just a little bit. By tweaking the pivot bolts on each side ( there are two of them on each side)the tension should be the same across all the blades. Disconnect any wheel from the side and expose the cog wheel which is taken off too. Stand the reel blades upright and dab lapping compound on each blade with the brush provided. Now with the crank handle provided, crank the reel over and over in reverse. This is called back lapping and it sharpens the blades. Put back the wheel and you are ready to go! What happens to the cut grass with a reel mower? It is spread evenly on the surface of your lawn, making it a good fertilizer for the soil. You also have an option to bag it in a grass catcher for composting purposes. What is that thin metal strip that comes in the wingnut bolt bag? That is a gauge. When after a year, your reel mower does not cut as it used to, it is time to reset the gap between the reel blades and bed knife. The gauge helps you to determine that optimal distance. The manual helps you through this process. There is very little difference, in that instead of you pushing, the electric motor attached to the reel provides the power to the blades to keep them from getting bogged down in thick or wet grass. The electric motor gets its power from the battery which is charged between mowings. When should you give up your reel mower? When you cannot commit the time any longer for it. It will punish you if you do not mow twice a week. Which manufacturers are the most popular for Reel mowers? Do riding lawn mowers have reverse gear? Yes, they have a reverse gear. The blades disengage when you put it in reverse, however, it does have an over-ride on the ignition key that allows you mow in reverse if you so desire. Do you have to assemble it? Or does it come looking like in the picture? The seat and steering assembly have to be assembled. The battery cables have to be connected and a few small parts fixed. It is very easy. How does shift on the go operate? There is a clutch function that allows you to move while changing speeds. It is delivered by a truck and delivered on your driveway. It comes on a pallet in a truck. Riding mowers are key start mowers. Are self propelled lawn mowers parts of the electric lawn mowers? Yes, there are several electric lawn mowers which are self propelled. However, they are found across the board which then makes them an entirely different area in some cases when put to perspective. What is distinctive is that the majority of lawn mower in this category is of the push behind mower category. Can the self propelled lawn mower mow backwards? The self propelled lawn mower power drive can move backwards and so enable the whole mowing act to progress unabated. Considering whether the engine has the self drive, you may need to pull and release the drive lever. However, take note that not all self propelled lawn mowers have the ability to move backwards and so in some instances, they may just only need to be moved forward. How do I start on the self propelled lawn mower? Starting the lawn mower is as easy as ABC. The lawn mower has a starter which when pulled to start is enough to start it. However, it is a fact that the lawn mower of self propelled model can be started through the use of choke method, which involves just pulling the pulley and letting the engine warm up. How much does a self propelled lawn mower cost? Like all the other electric lawn mower and gas based lawn mowers, there is no fixed price for these mowers. Self propelled lawn mowers come with diverse features which distinguish them from each other and so may influence the difference in prices. What differentiates a self propelled lawn mower from the other types of electric lawn mowers? Nothing much because the self propelled mechanism is just to enable its navigation. However, the fact that the self propelled lawn mowers have a starting mechanism which is quite unique is worth noting. In addition, the fact that the self propelled lawn mowers may be even gas based makes them be a jack of all trade in this sector. Read more FAQs. What is meant by the self propelled lawn mower power drive? This is usually a gearbox part of the lawn mower which is driven by a pulley on a crankshaft of the engine. It is at the time when the drive lever is disengaged by pulling that the engine of the power drive is switched on, this is what propels the lawn mower. What is the advantage of having an overhead valve on the self propelled lawn mower in the market? Because self propelled lawn mowers exist in all type of power options, some are quite noisy when being used. However, with the presence of the overhead valve, the rate of action of the self propelled lawn mower is increased. This in turn reduces the noise levels while making the lawn mower t last longer. What is the importance of the automatic choke recovery system (ACRS)? In some instances, the user may need to start a cold engine; the automatic choke recovery allows the user to move on and off the operator system and them enables the starting of the same by pulling the starter. When the engine warms up, the choke system is the part which moves to the start point on the self propelled lawn mower. However, like the other electric lawn mowers which are cordless or corded, the self propelled engines in some cases can also start without having to be chocked. What is the key feature on most of the self propelled lawn mowers? The horizontal blade attached to the vertical shaft is what makes the self propelled lawn mowers to be quite different from the rest of the lawn mowers. The fact that the self propelled lawn mower models can climb on top of hills with ease allows them to be efficient lawn mowing devices. Additionally, you may notice that the self propelled lawn mowers are four wheel drives, thus they have the capacity to take on any terrain which the lawn mower user may need to span. What is the work of the control bail? Because of its being held against the handle bar, the bail allows the blades in the self propelled lawn mower to rotate and thus helps with the mowing process. When the bail is usually released, the engine stops and so is the mowing. This way, the control bail is a security feature on the self propelled lawn mowers which shield against unwanted operations. How do zero turn mowers handle slopes? This essentially means that the turning radius is zero inches or there is no turning radius. The mower can turn in its own footprint. Why are zero turn mowers more expensive? Instead of the single hydrostatic transmission in a lawn tractor, there are two in a zero turn mower. They also have larger engines and decks, stronger frames and on the whole have more steel than steering lawn mowers. Hence, they are more expensive.